Congratulations to Signe Bergstrom, Anthony Howcroft, and Marie Smysor Watson. I finished reading “The House They Built” late on a Wednesday evening. As soon as I finished the last paragraph, I said, intensely, quietly, “Yes.” Here was a winner. Here was a story that left me a little melancholy, a little shattered. Here was a $1,000-story. Here was a story that broke my heart. It wasn’t for me to decide, however. I sent off our list of around 10 finalists without comment to our guest judge, Heidi Pitlor. Days later, the verdict was in: She had agreed. 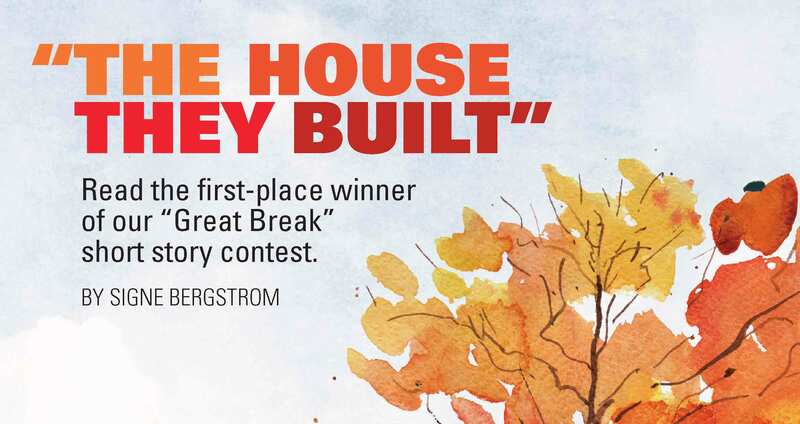 “The House They Built” was our winner. The story is a painful and wistful one: A dead child, a grieving father, a breaking marriage, an abandoned tree house. Bergstrom shows a tremendous amount of restraint in the telling, gently shepherding the reader from the first paragraph all the way to the final, lingering ending. I tend to prefer short stories that drop the reader right into the central conflict. In its first sentence, “The House They Built” does just this. The overt and lovely symbolism of the structure called “Three Trees” resonated with me, as did the small, elegant narrative arc of the story, which is just a moment, really, if a pivotal one. So much has happened before this moment and so much will happen afterward, but the story is richer for its restraint, more dramatic for its withholding of drama. I was moved by the gentle use of Seba’s voice, hardly there and easy to miss on a quick read. I think this writer shows empathy, grace and a real understanding of how to utilize restraint to evoke strong emotion in the reader. 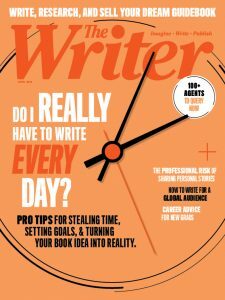 writermag.com/contests. Who knows? You may end up in the pages of our next issue.